Though cloud adoption across Africa more than doubled between 2013 and 2018, many businesses are still grappling with whether or not they should migrate their IT services to the cloud. 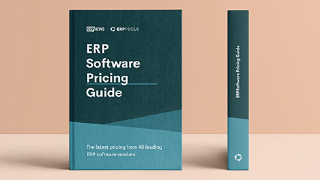 This is especially the case when it comes to enterprise resource planning (ERP), which by its very nature tends to process large transaction volumes and sensitive data. In truth, there is no one-size-fits-all approach to the question of whether or not the cloud is a better option for ERP. Instead, there are at least four key considerations that decision makers need to take into account to evaluate which solution is best for their business. Cloud is often punted for its cost-effectiveness, largely because it allows businesses to pay for IT services as they consume them and also because it spreads the cost of infrastructure, such as servers from capex to opex. But, companies, unfortunately, can’t assume that because they consume Software as a Service (SaaS), it will automatically be cheaper. In fact, businesses are sometimes perplexed by just how much their cloud-based services actually cost. In reality, there are still significant cost implications of having cloud providers professionally manage your IT services for you. And the larger the volume of your transaction and data assets, the more costly it tends to get. So while it may be cheaper to host your ERP on the cloud in many instances, this isn’t necessarily always the case. Businesses really need to do their homework before making any assumptions. Perhaps the greatest benefit of opting to deploy ERP in the cloud is the convenience of not having to manage the requisite IT services internally. It means your business no longer needs to have the manpower to handle tasks, such as installing and updating software or maintaining various applications. At the end of the day, not every company wants the hassle – or indeed has the internal resources – to manage their IT on-site. In such cases, they might well be happy to absorb any costs associated with the outsourcing of this function. Scalability is another massive benefit of deploying in the cloud, as businesses can quickly and easily adapt to their ERP needs as and when they change. The ability to scale up data processing capacity one month for a once-off heavy analytics process, or permanently for a large increase in users is particularly useful for businesses that are growing quickly. One of the biggest factors that need to be taken into consideration when determining whether to migrate your ERP to the cloud is how ‘heavy’ your transaction processing needs are. Where a large number of tables/datasets are accessed during each transaction, significant strain is placed on your business’ network requirements. This also holds true when large numbers of concurrent users are accessing the same information. And given the expense of internet connectivity in South Africa, this can quickly become costly. Naturally, in such instances, it may well make sense to keep your ERP on premise. Sophisticated ERP systems, such as those often used by manufacturers, are processing extremely high volumes of transactions, catering for the intricate logistics of complex operations like inventory management. In cases where businesses need a more customised ERP system, the same reasoning applies. It’s difficult to offer a high level of customisation in ERP on the cloud, and so businesses with very particular ERP requirements may well find themselves restricted should they opt to go this route. On the other hand, where businesses require only simple data updates and processing, the cloud is a more viable option. This would be applicable, for example, across business areas, such as CRM and BA, where heavy transaction processing is not required. The ability to switch the power on and off from time to time also then helps to reduce the load on the network. 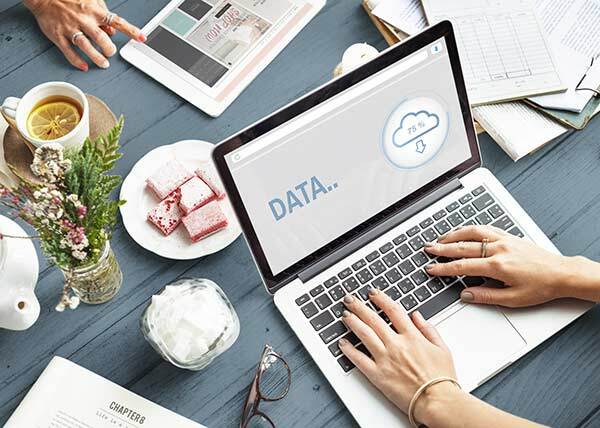 It’s hardly surprising – with intensifying focus on data protection legislation, such as the Protection of Personal Information (POPI) Act – that companies are increasingly concerned about their data security. This tends to make them naturally suspicious of hosting any data-sensitive applications in the cloud. While it’s not necessarily true that keeping your ERP on-premise affords greater safety for your data, companies often feel it’s more secure if stored onsite, in a specific location. This is where Infrastructure as a Service (IaaS) could present a viable option for companies that have light transaction processing needs, but are still wary of migrating their ERP to the cloud for security reasons. 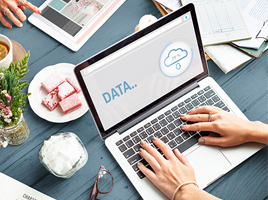 Local IaaS provides them with the option to host their ERP on a local server, giving them peace of mind that they know where their data is stored, while at the same time offering them the convenience of a hosted IT service. Eventually, as network costs come down and businesses lose their scepticism around the dangers of hosting their data in the cloud. When that day comes, there will be little reason left for businesses to keep their ERP on premise. But, until then, businesses should take careful consideration of their unique needs before making a final decision. 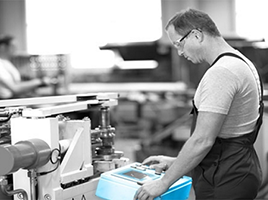 Cloud ERP in Manufacturing: Why Join The Movement?